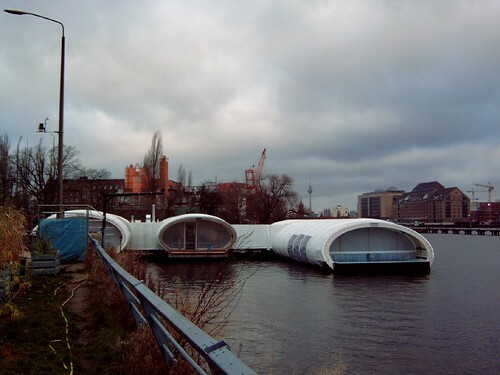 Badeschiff (English: bathing ship) is an old barge which has been converted into an outdoor floating swimming pool and anchored in River Spree at Berlin's East Harbour section. 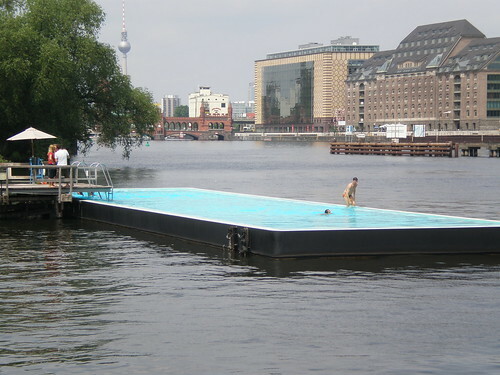 It is part of the art project organised by Berlin's City Art Project Society to improve the river front. 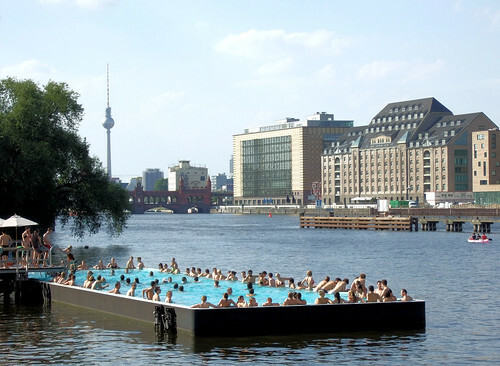 Due to high level of pollution swimming in River Spree is not allowed hence local artist Susanne Lorenz came up with the idea of creating a clean water space within the polluted waters of River Spree. The swimming pool which is provided with chemically treated clean and heated water is 32 metre long, 8 metres wide and 2 metres deep. 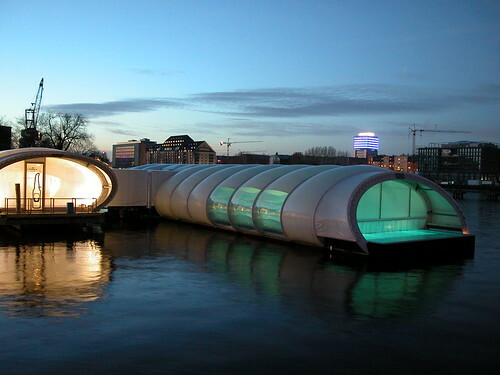 It was opened in 2004 and soon became very popular. 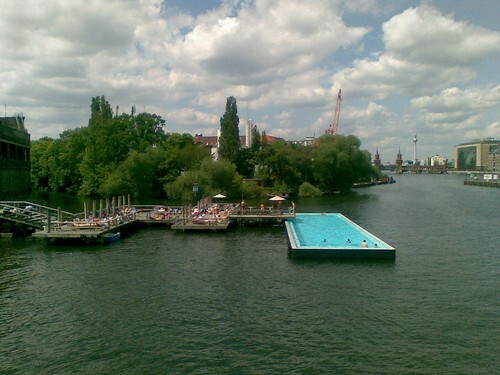 Two wooden pier which led to the pool were later covered and converted into sauna bath, a bar, refreshment area and a DJ. 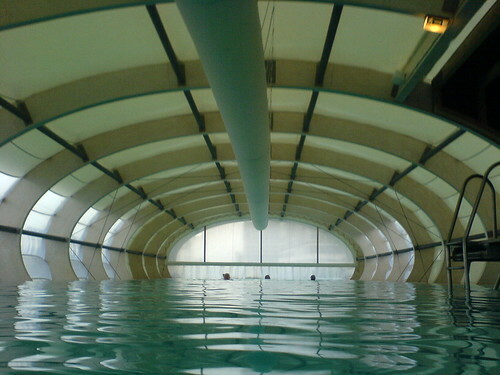 During winter months the pool is provided with a translucent canopy to protect the swimmers from the weather. I have learned about this pool. Your post remind me. Thanks for another unique one.